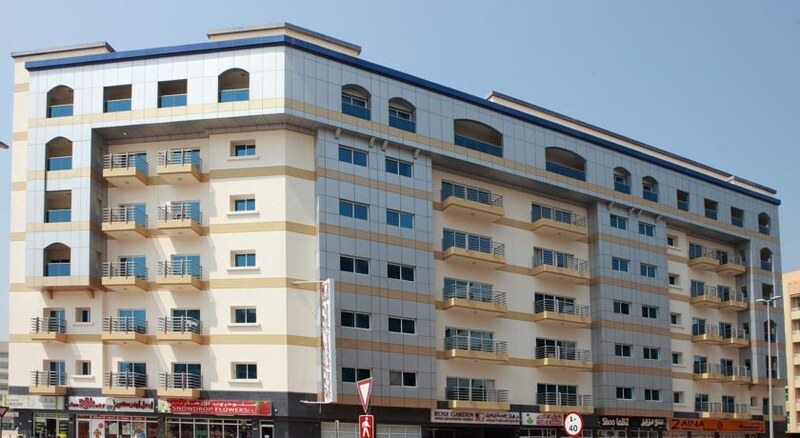 On Dubai’s busy Sheikh Zayed Road, neighbouring important business and financial districts, the Rose Garden Hotel Apartments offer a comfortable stay with unparalleled levels of service and hospitality. 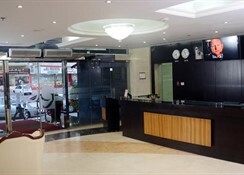 Well-furnished apartments with a kitchenette, thoughtful guest amenities so that guests can enjoy their Dubai visit to the maximum, a rooftop swimming pool and sundeck with wonderful views of Dubai skyline and the Burj Khalifa, a well-equipped fitness centre with cardio, and amazing cuisine at its restaurant await guests checking into this plush hotel. A leading property of Rose International Hotels Management, this aparthotel sets new benchmarks in comfort and hospitality. Within a short distance of major Dubai attractions like Ski Dubai and Mall of Emirates and well-connected by Dubai Metro, this is a favourite choice of business and leisure travellers to Dubai. Situated on Sheikh Zayed Road, in strategic Al Barsha district of Dubai, Rose Garden Hotel Apartments is barely 800m from the Ski Dubai with the Mall of Emirates. It is a 1-minute walk to Sharaf DG metro station and within minutes you can reach WTC (World Trade Center, Dubai Internet City, DIFC (Dubai International Financial Center) and other shopping malls. The Dubai International Airport is 11km away. The hotel offers free shuttles to the beach, Mall of Emirates and Dubai Mall. The apartments are self-catering and feature a fully functional kitchenette to enable guests to prepare their own food. There are supermarkets nearby where groceries are easily available. There is also a Coffee Shop, which serves a sumptuous buffet breakfast in the morning and light bites, juices and beverages. 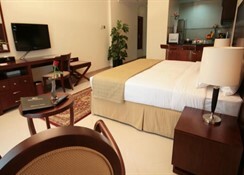 Rose Garden features a fully-equipped modern gymnasium and sauna for the guests to stay in shape. There are separate sections for men and women. 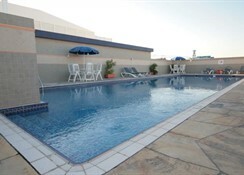 There are rooftop temperature-controlled pools for adults and kids with gorgeous views. The Al Barsha district is full of boutiques of luxury cloth and jewellery brands for a dose of retail therapy.